Birds nesting in your chimney causing you a problem? Browse our selection of birdguards and chimney cowls for the perfect soultion. 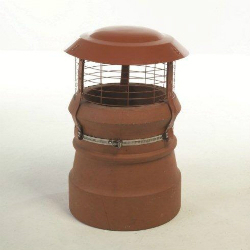 We have a range of birdguards and chimney cowls that will compliment every colour and style of roof. We offer a hassle free 14 day return policy so you can shop with peace of mind.